Tiny flowers on trees grown mainly for their leaves. Such a spring surprise, and a treat. 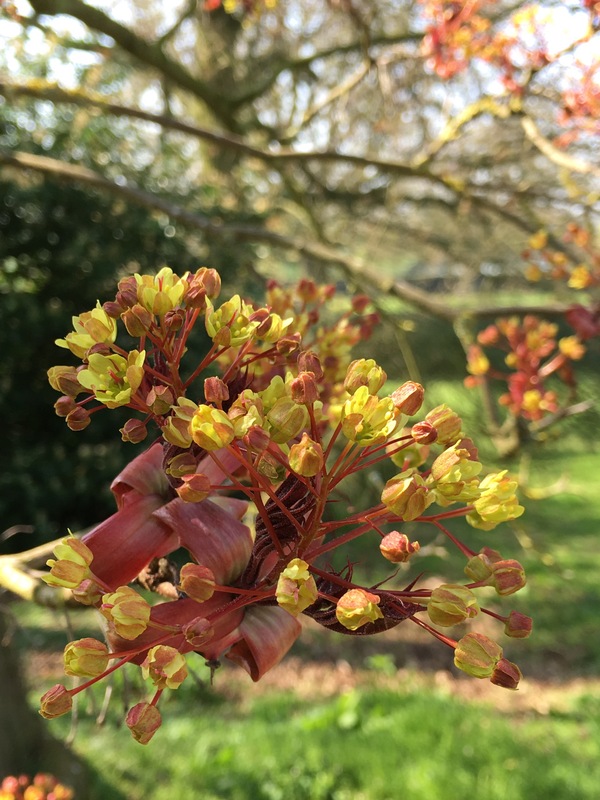 This one is Crimson King, Acer Platanoides. Also known as the Norwegian maple. Photo taken at Burghley House near Stamford. What surprises have you found this spring? Have you noticed any tiny flowers on trees? I love to hear your comments. 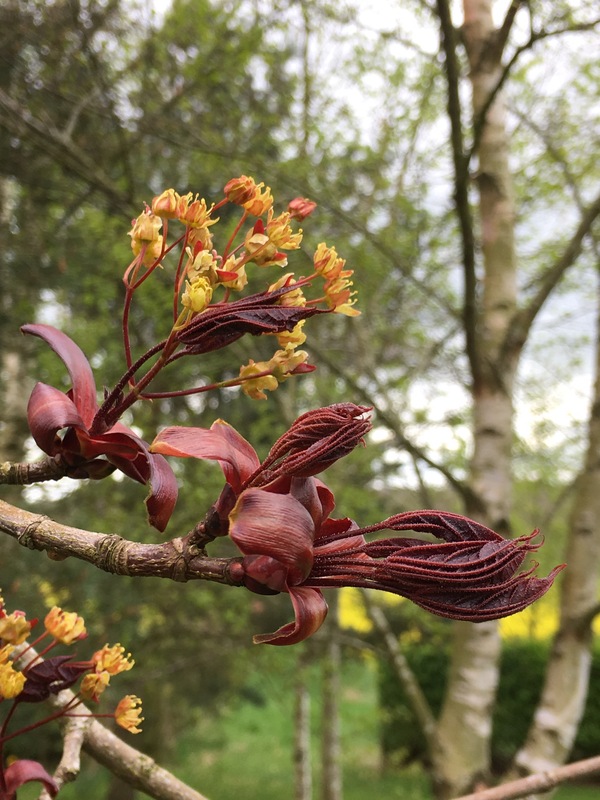 Gorgeous photos Karen, not sure which I like the most, the sweet little flowers or the unfurling leaves! There’s so much ready to pop here! We’ll be seeing flowers everywhere soon. Tiny flowers on our snake bark maple.